Get ready to get the gold | Nike introduces the new Hypervenom Game of Gold! Get on the pitch and be ready to play the game of gold. Pursue the goal, like it’s a never-ending dream. Be the attacker who becomes the legend and secure the gold for your team! 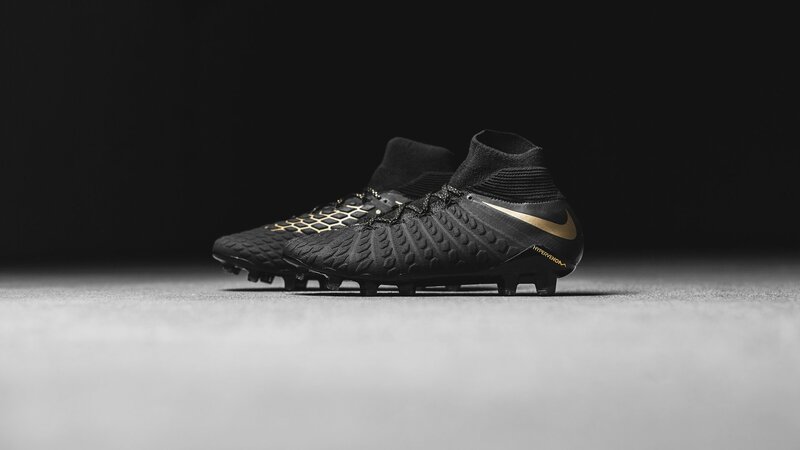 Nike is ready to introduce the brand new Hypervenom Game of Gold boots, which is made for the season ending games. The attackers will be more than ready to strike the ball to get the gold with these beauties! We are slowly moving into the last chapter of the domestic leagues and cup competitions. Some leagues are already decided, while some are closer than ever. This means that the most lethal attackers in the game are chasing every chance they get to secure the gold for their team. Nike has therefore made this Hypervenom Game of Gold boot to secure that the attackers are equipped to secure the glory they are hunting. Does this sound like you? Then the Hypervenom Game of Gold are made for you! When we think off the most lethal attackers, then players such as Cavani, Icardi and Lewandowski are some of them that pops up in our minds. These attackers, and some other selected are all going to rock a pair of Game of Gold boots during the last couple of weeks of the season. They are all either battling for the Championship or still in the race to secure the cup title, while they all also are acknowledge as some of the best attackers of the game at the moment. The Hypervenom Game of Gold is made in a black colourway, and with some sweet gold details. The gold details can be spotted fairly on the laces, Nike Swoosh, the heel and on the strike zones. The gold details will make the attackers remember what they are hunting, and they will pursue the net to get the goals! The last part with pursuing the net is also something that is brought to the boot. The gold details highlights the Strike Zone and making it look like a gold net. The Hypervenom Game of Gold is the still the same boot as the previous, and the only thing changed is this nice colourway. The upper is still made with a strike and cut zone, which is a multi-layered Poron® foam pods. The pods either hardens if you strike the ball hard or softens if you receive a ball in low speed, so you get a dampened and controlled touch with the ball. Furthermore, the upper still consists of a 100% Flyknit construction. This offers a great flexibility and softness to the boot, and the Flyknit also makes it able to make the special loop lacing system. Lastly, the stud-configuration still has the mix of studs that gives you the opportunities to turn and switch directions easier than before, making you lethal in the penalty box. And yeah, the Agility cuff version of the Dynamic Fit Collar is still there and offers you the support needed when making the sharp turns and switching directions. Everything points on you to become the legend that never will be forgotten. Get your Game of Gold boots and take your chance to turn everything into gold after you have secured your team the trophy, with the season ending and vital goals! Find your Hypervenom Game of Gold right here, and pre-order your pair before it gets sold out!